As a base for my exploration of Puglia I had found and booked this beautifully renovated trullo. I could enjoy it for more than a week. What a lovely place. 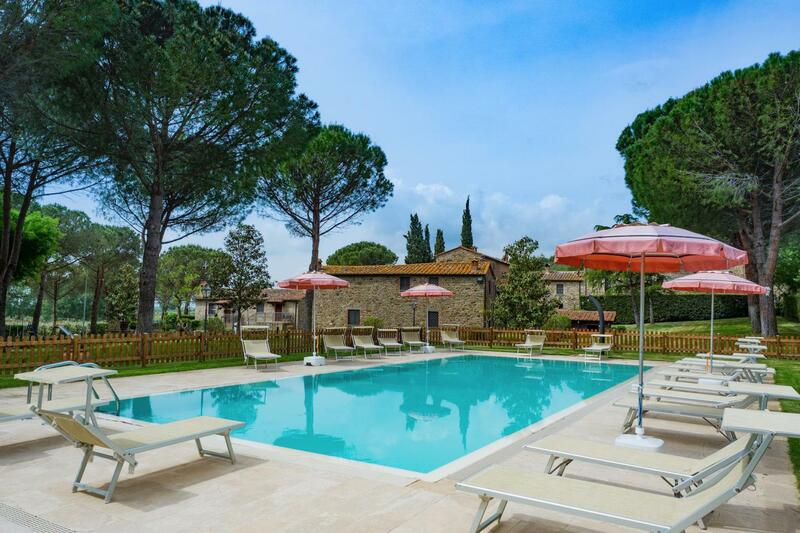 It was almost a shame that I had so many appointments with agriturismo in the area, because the desire to relax in the beautiful pool was great! The trullo is quiet and located on the outskirts of a village, with a beautiful olive grove on one side and some last houses of the village on the other side. In five minutes walk you are in a small shop for some basic necessities and a delicious pastry shop with delightful ‘dolci’! There is also a pizzeria in the village. To explore the area, this trullo is very central and conveniently located. Wonderful places like Alberobello, Ostuni (the white town), Locorotondo, Ceglie Messapica, Fasano and the beach are all reachable within 20 minutes to half an hour by car. Also the nearby village of Cisternino is fun to explore. There are many nice restaurants, boutiques and bars. The nice thing about this accommodation is that you are staying in an authentic trullo, the round cottages with white gabled roofs, characteristic for this region of Puglia. This trullo has two "coni" (points) that are connected to each other by a construction which creates a pleasant home for 4 to max. 6 persons. Everything is there in this trullo! The fully equipped kitchen has a four burner stove, oven, dishwasher, water cooker, toaster and an espresso coffee machine. There are also WiFi, TV, barbecue and a washing machine. The trullo has two bedrooms, each with a private bathroom with shower and toilet. One bedroom has a double bed and the other bedroom has two single beds. This bedroom is separated from the living room through two swinging doors with frosted glass. The bedrooms have air-conditioning, but it is generally cool in the trullo. The living room has a sofa bed. From the kitchen you walk on the covered terrace with a table and chairs. From your terrace you have a view on the garden and the beautiful pool. Around the pool and in the garden are several sun loungers and beach chairs. Plenty of room to relax! A lovely place to relax and to explore the area. A centrally located and luxurious accommodation to explore the beautiful Val d'Itria in Puglia. I can recommend it warmly from personal experience! Price is for 4 persons per week and include water, gas, electricity, bed linen and towels, final cleaning.